Our Expertise World Class Architecture! 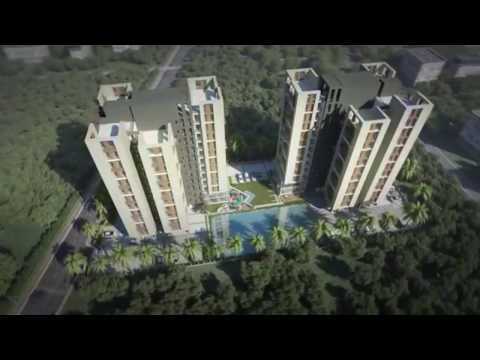 Fully AC 3 BHK Smart Homes starting from 87 lakhs onwards just 10 minutes from Park Street. The architectural splendour of Merlin Legacy is destined to arouse envy. A world-class design ensures maximum space utilization. It shall be the newest landmark in the neighbourhood redefining structural grandeur. All apartments are cross ventilated, well lit open on 2/3 sides. Legacy is one of the premium Projects by Merlin Group in this neighbourhood after Merlin Deblok, Merlin Regency & Merlin Regent. Optimum Power Backup for common area as well as flats. R.C.C foundation resting on cast -in-situ reinforced concrete bonded piles. 24 - hour filtered water supply. Provision for adequate light points in each and every area. Adequate power points for the installation of modern gadgets in every room. Provision for Telephone & T.V in Living and all bedrooms. Safety equipment such as M.C.B for all flats. Split air-conditioner in all bedrooms and living/ dining room. AC starters of a reputed brand. Interior – Smooth putty or gypsum plaster finished walls. Exterior - Combination of antifungal and textured paint. Kitchen / Toilet floors to be made with heavy duty mat finish ceramic/vitrified tiles. High quality ceramic/vitrified tiles of a reputed brand (up to lintel height). White porcelain sanitary ware of reputed brand (Hindware / Parryware or equivalent). CP fittings of a reputed brand & Hot and cold water provision. Door frames made of seasoned and treated wood. Flush doors or teak wood finished doors. Quality locks/handles (hardware) for all doors of a reputed brand. Color Anodized/ powder - coated heavy duty glazed aluminum windows. Dado (wall) of ceramic tiles above counter upto 2 feet height. Over 10 million sq ft of construction experience | Over 500 acres of land bank across India| Over 100 projects completed | Over 50% sales from referrals (Existing customers) | At present, over 7.5 million sq ft of construction in progress | Co-promoter of South City Group. Merlin Group. Over three decades of leadership in the East. Kudos galore in Real Estates. Now it's time to spread our wings. Touch lives. Build the Nation the Merlin Way. Over 2.5 million sqft. of construction work in progress in Kolkata and around 5 million outside Kolkata, in Chennai, Ahmedabad, Raipur, Pune and Bhubaneswar. Creating a new Horizon ! Merlin Group, is one of the leading and premium real estate developers in India, having to its credit, over the past three decades, number of prestigious Residential and Commercial Complexes, Office Buildings and Township in Kolkata, Ahmedabad, Raipur, Chennai and has now also extended its activities to Modern Shopping Malls, Resort, Industrial Estate & Clubs etc. Content provided by Merlin Group. Info Edge (India) Ltd. disclaims all warranties against infringement.